Analysis: Could SCOTUS acceptance of NYC gun case signal new 2A attitude? Although there has not been a wave of “sky is falling” screeching from the gun prohibition lobby, Tuesday’s acceptance by the Supreme Court of the United States of a gun control legal challenge just might signal a renewed interest in Second Amendment cases by a more conservative panel. The National Rifle Association is calling the case — known as New York State Rifle and Pistol Association v. The City of New York — “critical,” and it just might be. It has been nine years since the high court heard a Second Amendment case, McDonald v. City of Chicago. Since then, the court has rejected several petitions for review of cases dealing with right-to-carry and other issues, but now this NRA-supported case is on the table. Another interesting case involving gun rights is Mance v. Whitaker, an unusual case involving the Citizens Committee for the Right to Keep and Bear Arms. That’s the grassroots oriented group that usually stands in the shadow of its sister organization, the Second Amendment Foundation. McDonald was a SAF case, and since that 2010 victory, SAF and NRA have been a busy bunch in the courts. The New York case challenges a New York City regulation that prohibits licensed handgun owners from taking their guns outside the city limit, and even outside the home unless they are going to a shooting range inside the city. Essentially, the regulation holds handguns hostage, prohibiting gun owners from traveling with their sidearms for hunting, competition, personal protection or any number of other reasons. “The Supreme Court’s decision to hear this case sets the stage for affirming the individual right to self-defense outside of the home,” said Chris W. Cox, executive director, NRA-ILA in a news release. It is that possibility that underscored the almost seething opposition to the appointment of associate Justice Brett Kavanaugh, following the earlier appointment of fellow conservative Neil Gorsuch. While Kavanaugh opponents focused on other issues in their attempt to keep Kavanaugh off the court, his single Second Amendment defense, in a dissent involving a District of Columbia gun rights case, made him a target of anti-gunners. 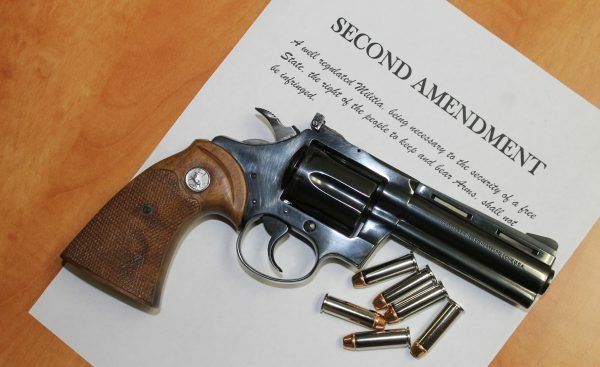 Rights activists, and even other members of the high court, have lately maintained that it is time for the court to stop treating the Second Amendment as a second-class right. Accepting the New York City challenge for review could be the first step in that long-overdue process.